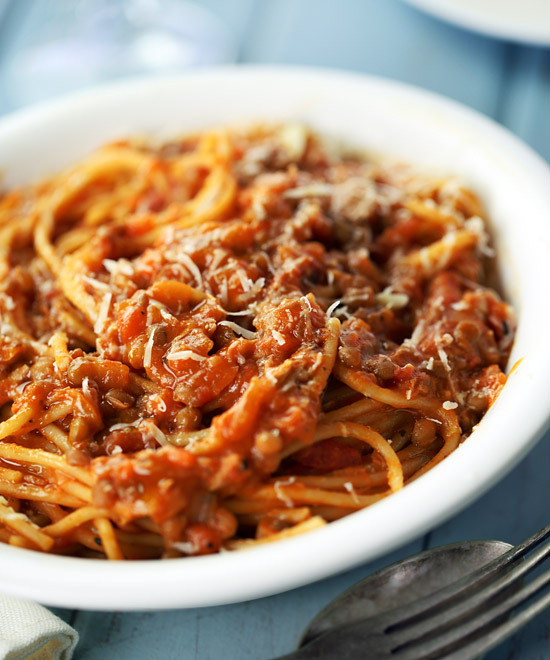 A deliciously different fiber-rich version of spaghetti Bolognese using brown lentils and canned tuna instead of ground beef. 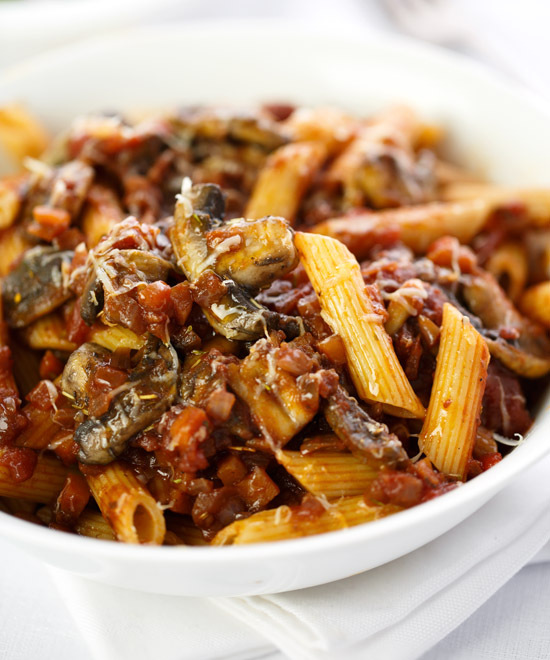 Tender mushrooms in a robust tomato, red wine and herb sauce, served with penne pasta. 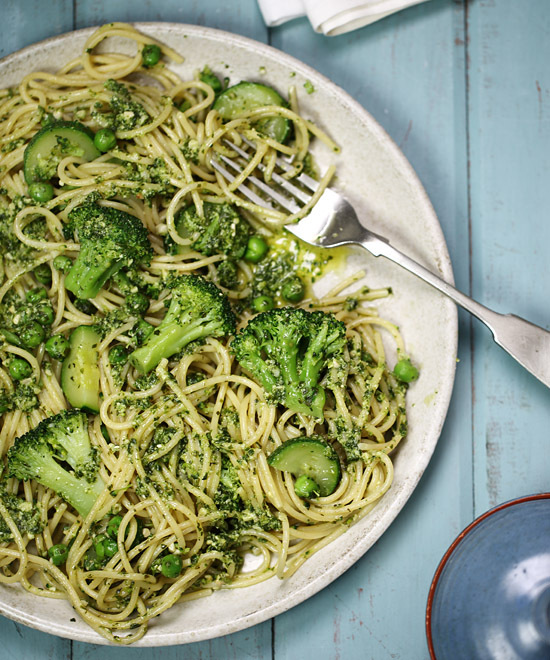 Spaghetti combined with a selection of tender green vegetables and tossed with a mouthwatering basil and toasted almond pesto. 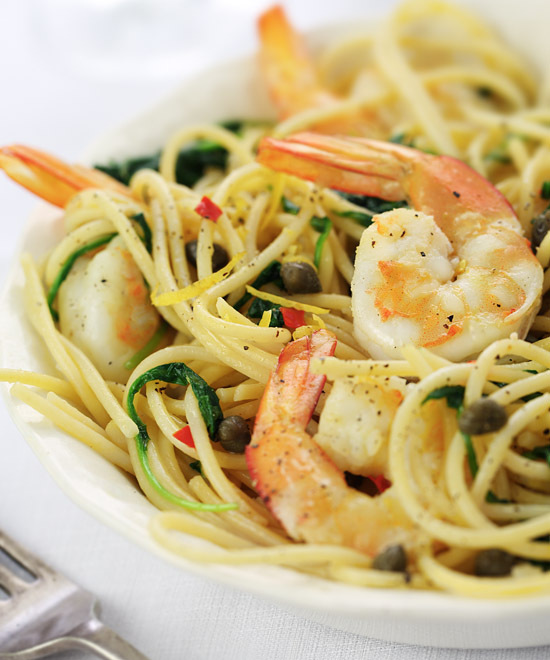 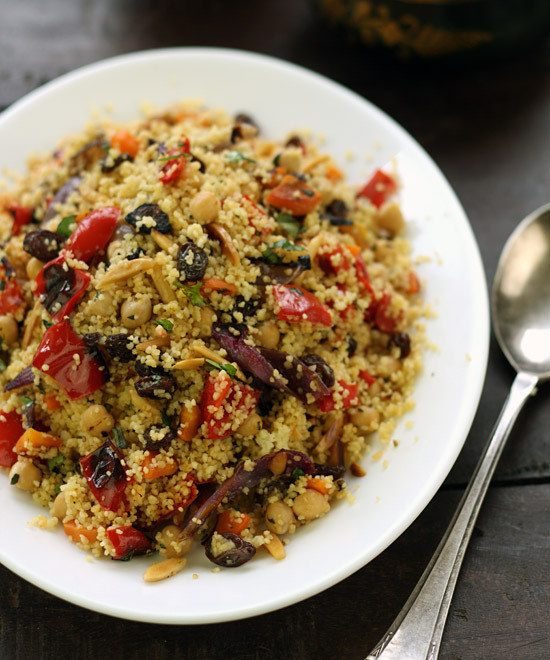 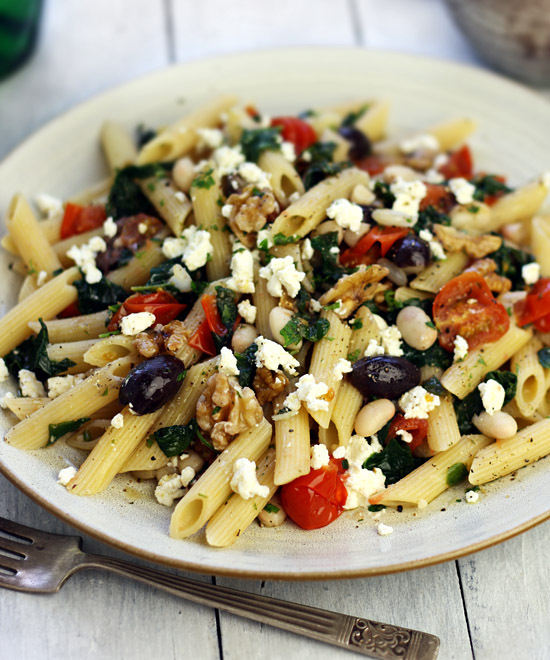 We love this pasta dish not only because it’s so tasty, but also because it’s so easy to make. 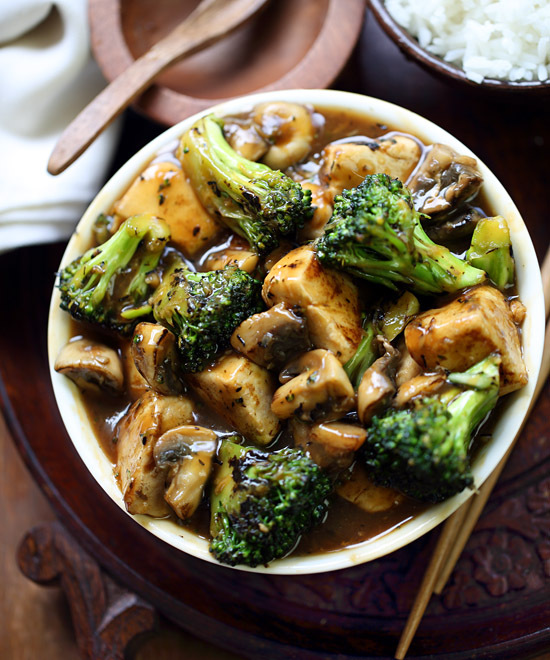 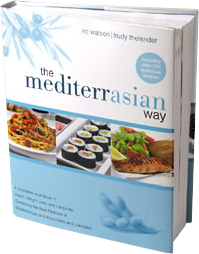 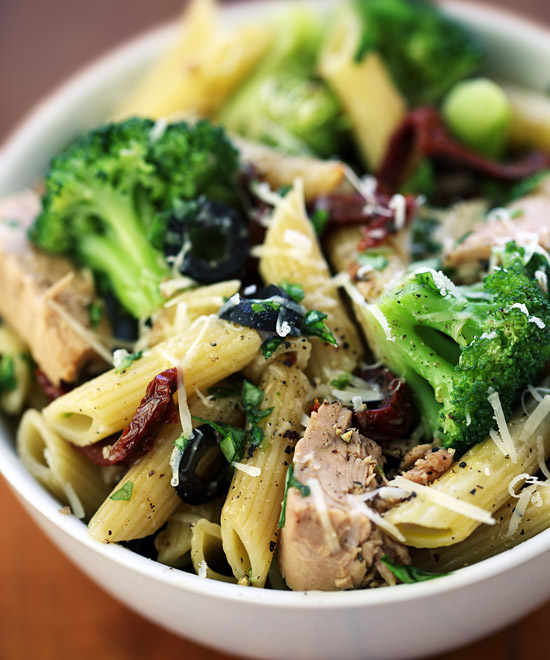 Most of the ingredients are straight from cans and jars, and the broccoli cooks in the same water as the pasta. 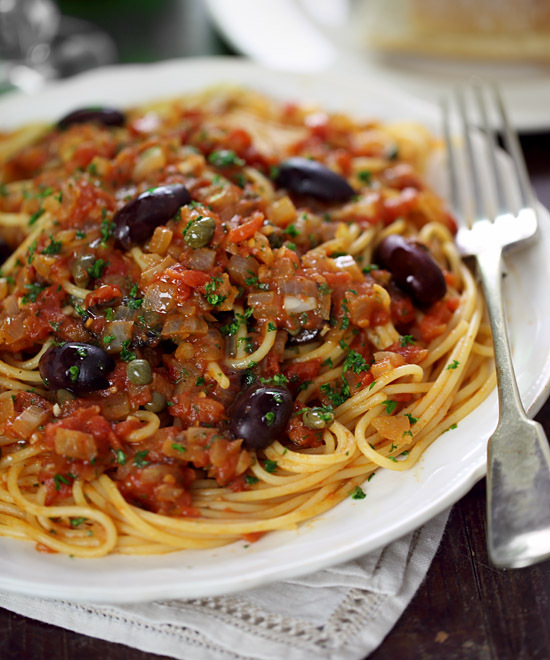 A robustly-flavored pasta dish made from a combination of classic Italian ingredients. 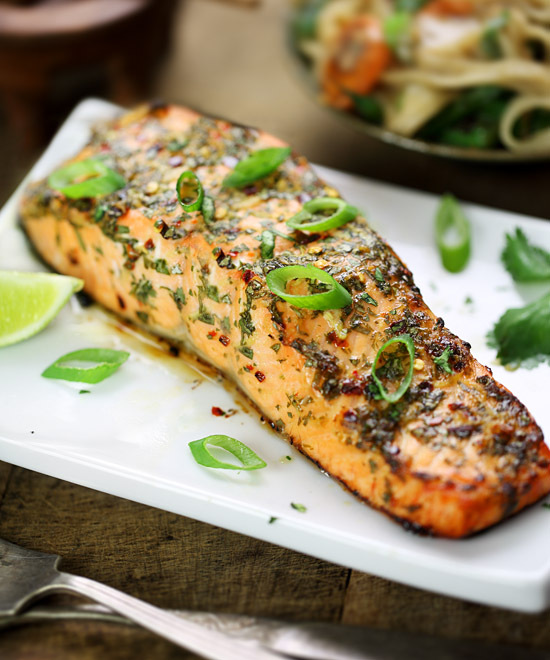 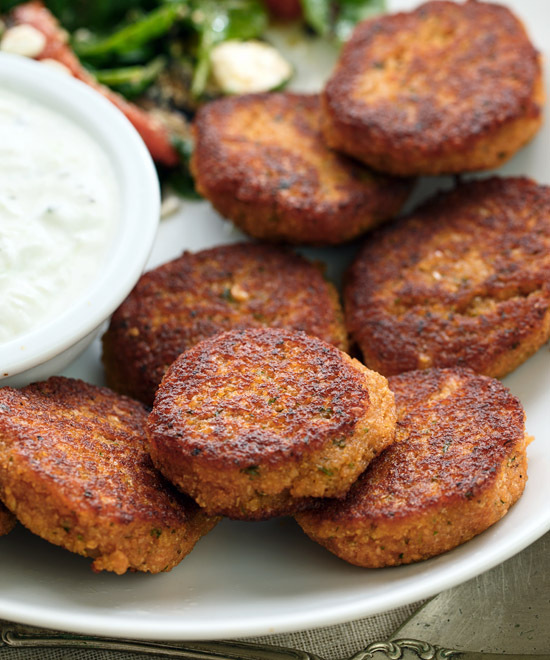 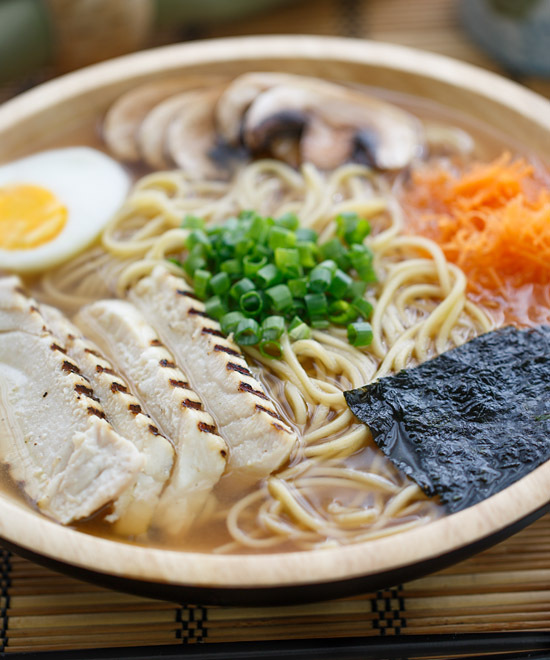 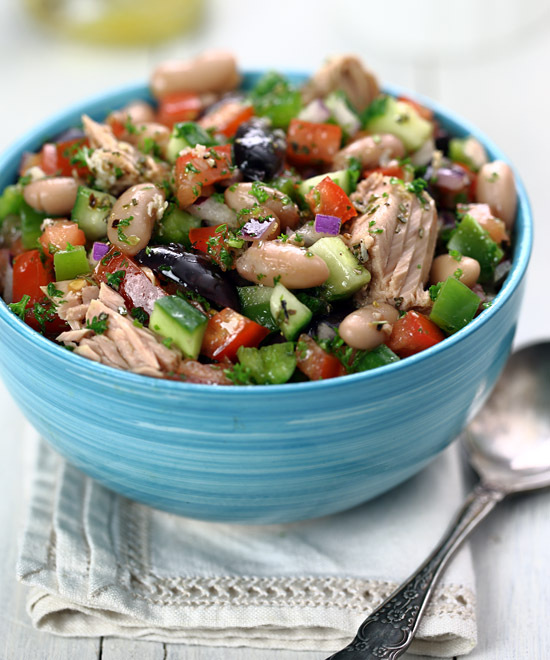 We often add some good-quality canned tuna to the sauce for extra protein. 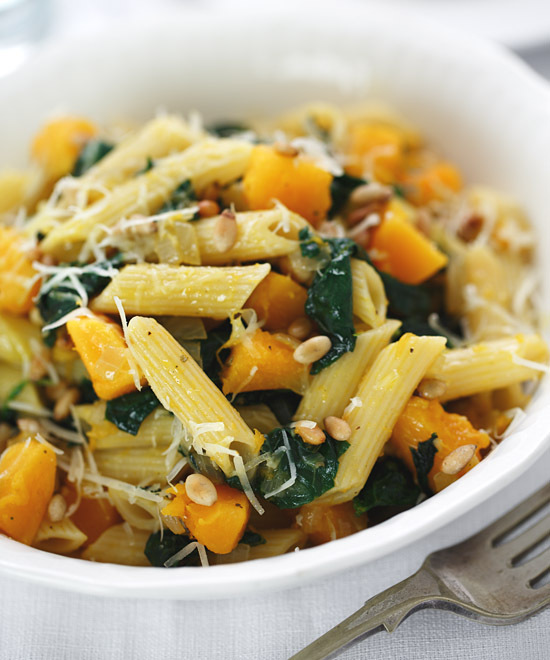 Pasta tossed with cubed pumpkin, sautéed spinach and toasted pine nuts, then sprinkled with freshly grated Parmesan cheese. 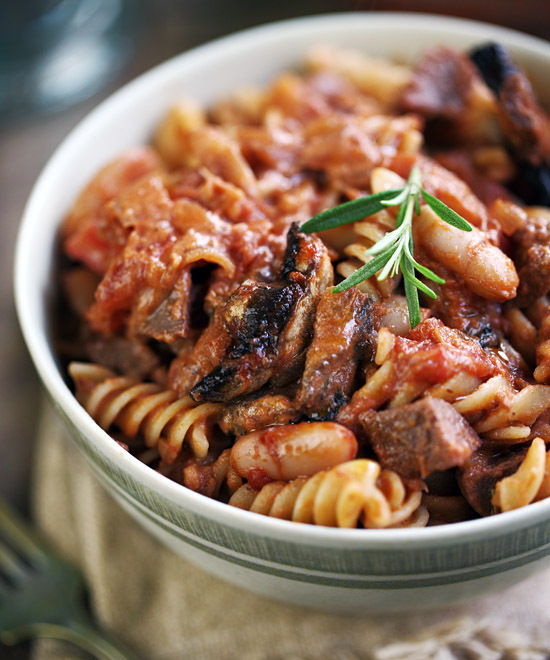 A rustic pasta dish with cannellini beans, diced sausage, and mushrooms combined with a smooth and velvety tomato-ricotta sauce. 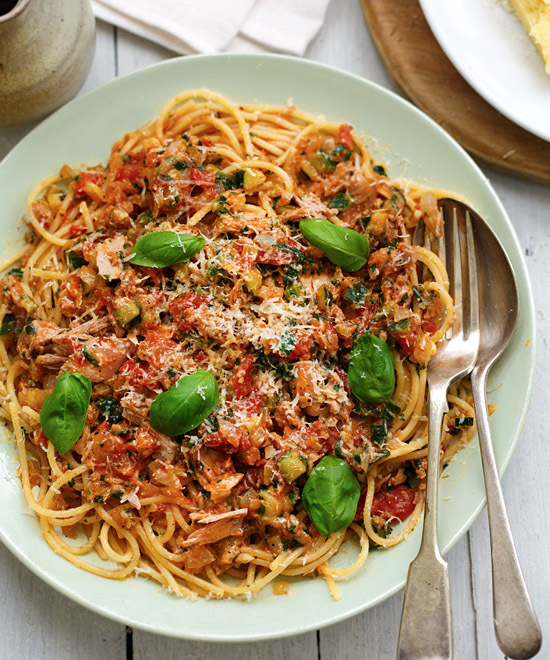 Spaghetti with a simple and nourishing sauce made with tomatoes, zucchini, garlic, fresh basil and canned tuna.